BRUSSELS, Belgium, May 14, 2014 (ENS) – The European Commission today proposed to ban the use of any kind of driftnets for fishing in all EU waters as of January 1, 2015. Rules are already in place to forbid using driftnets to catch migratory tuna and swordfish, but the practice continues to cause concern because the drifting nets can extend for tens of kilometers, catching marine mammals, sea turtles and sea birds protected under EU law. To fight circumvention of the partial ban, the Commission proposes a full ban on driftnet fishing in EU waters and a ban on keeping driftnets aboard fishing vessels. To avoid ambiguity, the Commission’s proposal refines the current definition of a driftnet. Still, the current EU legislation has shown weaknesses and loopholes. The small fishing vessels involved in driftnet fishing do not operate together in the same areas, making it easier for lawbreakers to escape monitoring, control and proper enforcement. The Commission says there are at least 840 vessels that use driftnets in EU waters, excluding the Baltic Sea. For most of the fishers driftnetting takes place during only a few months of fishing activity in any year with some fishers using driftnets for less than half a month per year. 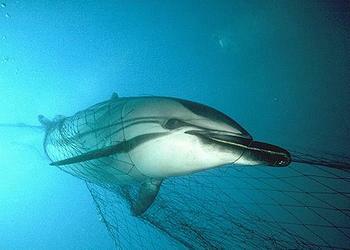 So, the total prohibition on driftnets is not expected to result in a corresponding reduction of fishers. They will continue to operate with other types of gear as already authorized in their fishing licenses. Illegal driftnet activities carried out by EU fishing vessels continue to be reported and have been cause of criticism regarding the European Union’s compliance with its international obligations. Damanaki says banning driftnets responds to the new Common Fisheries Policy’s goal to minimize the impact of fishing activities on the marine ecosystems and to reduce unwanted catches as much as possible. Depending on Member States’ priorities, the European Maritime Fisheries Fund could be used to support the transition towards a total ban. Following UN General Assembly Resolutions calling for a moratorium on “large-scale pelagic driftnets,” longer than 2.5 kilometers, in the 1990s the EU developed measures to implement such a moratorium. 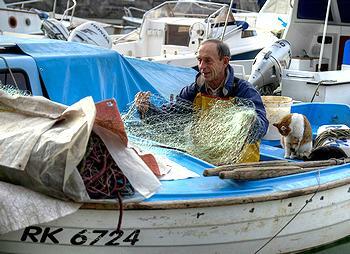 The current EU legal framework on driftnets fishing took effect in January 2002. It bans the use of all driftnets, no matter their size, in EU waters when intended for the capture of highly migratory species such as tuna and swordfish. In the Baltic Sea, the use of driftnets and the keeping on board of any kind of driftnets has been fully banned since January 2008. Despite this entire regulatory framework now in place, the rules have not been respected, the Commission says. In April 2013, the Commission published a Roadmap for review of the EU driftnet fisheries measures and launched two studies, as well as a public consultation, which closed in September 2013, on small-scale driftnet fisheries. The result is the proposal announced today, which will require legislation by the European Parliament and adoption of that legislation by the European Council, which is composed of the heads of state or government of the 28 EU Member States.